Loudoun County is home to more equestrian communities and horses that any other county in the state of Virginia. Loudoun is home to over 15,000 horses and is clearly the horse capital of the state. The horses of the Loudoun County are worth over $210,000,000 and contribute over 1000 jobs and close to $3,000,000 in tax revenue to Loudoun and the state of Virginia. Loudoun County is also home to more equestrian events than any other county in Virginia. The Equine Medical Center is located in Loudoun County as well as Morven Park and Oatlands Plantation which provide the largest venues for equine events. Loudoun is certainly one of the most horse friendly places in Virginia. The Loudoun County equestrian communities are host to well over 100 local equestrian events every year such as the events at the historic Oatlands Plantation near Leesburg and Fox Chase Farm in Middleburg. Coming this spring there will be the Loudoun Point to Point Races at Oatlands on April 14th, The Middleburg Spring Races on April 20th, and the Annual Hunt Country Stable Tour in Middleburg on May 26th. There are numerous other equestrian events throughout Loudoun County during the rest of the year. Follow this link for Farms and Estates in Loudoun County for sale. The Point to Point Races at Oatlands Plantation is an exciting event that offers visitors to Oatlands an opportunity to view point to point races covers a scenic route through the 360 acre historic site. Oatlands offers spectators some of the best up close views as the riders and horses complete a grueling race over numerous obstacles. The event also offers betting for those who wish to gamble on the horses. This event is sponsored by the Loudoun Hunt. The Middleburg Spring Races also offers spectators fantastic view of hors and ride jumping numerous obstacles in 6 races. A top prize of $75,000 is awarded to the winner of the last race. The event is held at Glenwood Park in Middleburg. The Hunt Country Stable Tour is held every year in the Middleburg and Upperville area. The area is home to some of the country’s premier thoroughbred and hunter breeding and train farms. The event gives visitors an opportunity to tour these fantastic facilities. The event also hosts a fair/market that will feature all kinds of equestrian arts and crafts. So, where are Loudoun County Equestrian Communities located? 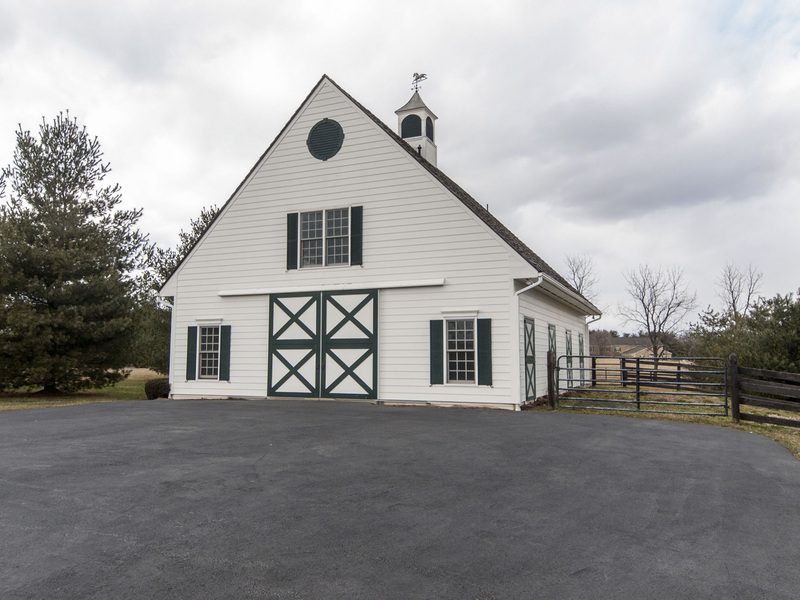 The majority of Loudoun County Equestrian Communities are located in central and western Loudoun County however, in Loudoun County if you own 3 acres or more you can stable a horse on your property. There are a couple of new developments like The Hamlet at Wulf Crest Farm that is located close to the town of Leesburg adjacent to Oatlands Plantation and the American Academy Equestrian Sciences that offer new home owners the opportunity to own a horse and enjoy hundreds of acres of ride out without having to stable their horse on their property. Loudoun County is home to the Loudoun Hunt that holds Point to Point Races, Fox Hunting and organized trail rides through out rural Loudoun. Lees Crossing is an example of one of many horse friendly communities in Loudoun and is located north of Leesburg off of route 15. The areas near Waterford, Hillsboro, Purcellville, Round Hill and Lovettsville offer horse owners many estate style horse friendly communities as well as larger farms and estates. For more information on Loudoun County Equestrian Communities contact us at 703-831-7653 or visit our web site at www.loudouncountylivingllc.com.